I have been seeing glitter tumblers EVERYWHERE in the past year! 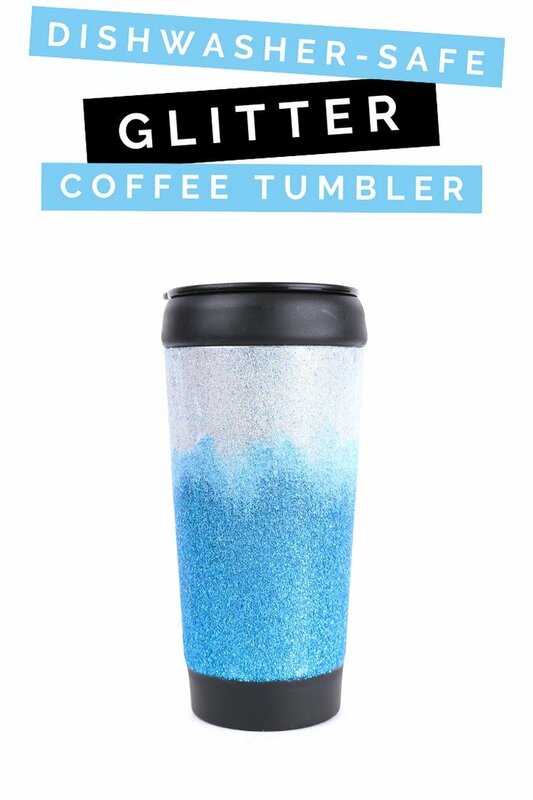 It seems like everyone has a glittery water bottle, travel mug, or coffee tumbler! I’m too cheap to shell out for the store-bought version, so I decided to DIY my own. In addition to being an admitted cheapskate, I also HATE doing dishes by hand. So any glittered drink holder I made had to be able to go in the dishwasher. 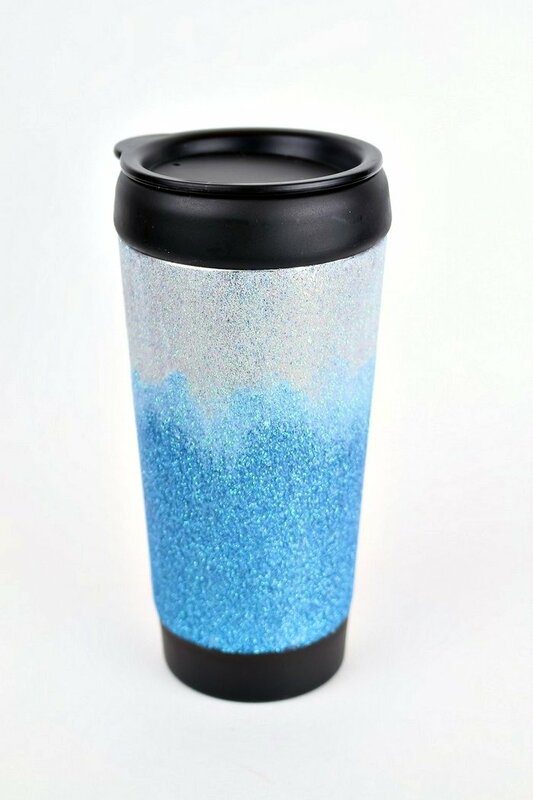 Thanks to one of my very favorite Mod Podge formulas, I was able to make my own dishwasher-safe glitter coffee tumbler myself! You have to allow dry time in between coats of the Mod Podge (and a ton of time waiting for the Mod Podge to cure), but the actual working time of this project is just a few minutes! That’s what makes it a perfect fit for this month’s round of Craft Lightning! 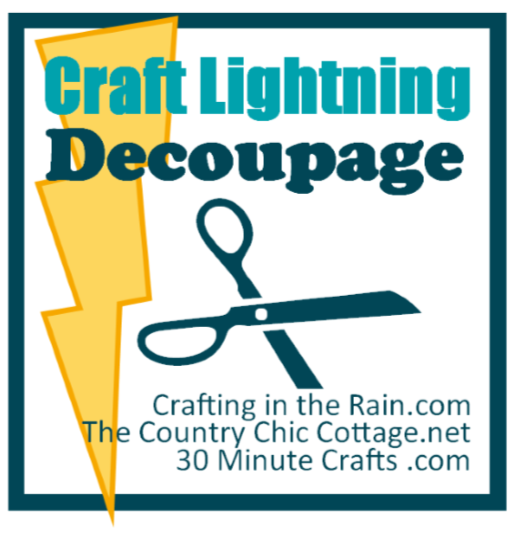 Make sure to visit Crafting in the Rain, The Country Chic Cottage, and 30 Minute Crafts for all the fun tutorials! I walk you through the simple process of creating a dishwasher-safe glitter finish in this short video. If you like this video, consider subscribing to my YouTube channel. It’s free! You apply Dishwasher-Safe Mod Podge in the same way you would use most standard Mod Podge formulas. There are a few tips and tricks to follow when using and curing this formula so that you will have awesome results. Do not apply Dishwasher-Safe Mod Podge where it can be in contact with food or your mouth. Using it further down the side of a cup or on the back side of a glass plate would be just fine. Use a soft-bristled paintbrush or foam brush to create even brushstrokes in your coat of Dishwasher-Safe Mod Podge. Let the Mod Podge dry for 1-2 hours between sealing coats. You can put on 1-3 coats to seal your project. Cure your project for 28 days. Yes, that’s a long time, but it will be so worth it when you can just throw your project in the dishwasher, right? Make sure you wash your project on the TOP RACK of your dishwasher after has fully cured. 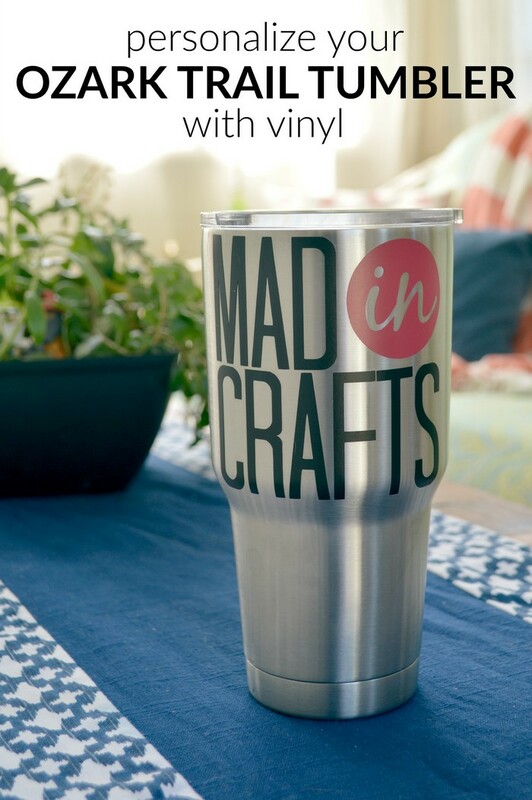 What Do You Need to Make a Dishwasher Safe Tumbler? 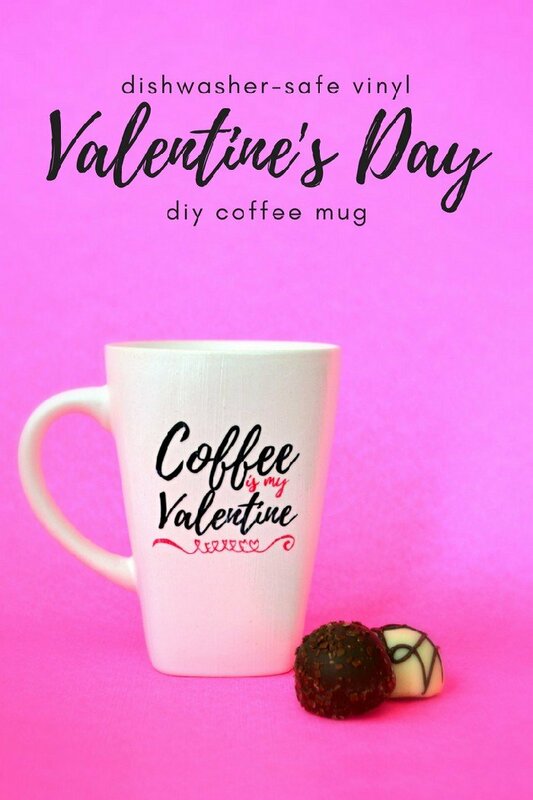 I found the coffee tumbler I used for this project at the dollar store, but you can use any metal, ceramic, plastic, or glass drinkware you would like with this technique. The Dishwasher-Safe Mod Podge works equally well on all those surfaces. I found that using fine glitter creates a smoother, more “professional” finish than coarse or shaped glitter. And save your money on the painter’s tape. The cheap stuff from the dollar store works perfectly for this project!